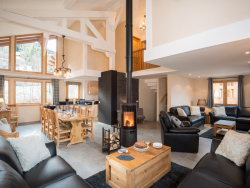 Ski-Dazzle is a well-established chalet company that has been operating in La Tania for 12 years. We have two brands; our Premier brand is Ski-Dazzle and our Luxury brand is Chic-Chalet. All our chalets are well positioned being next to the piste, with hot tubs, ensuite facilities, free wifi and UK TV. 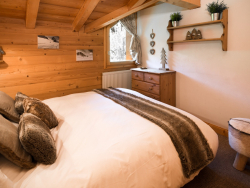 Relax and unwind in our warm, cosy chalets with log fires, ensuite facilities and breathtaking scenery. Be dazzled by our delicious food, friendly staff and attention to detail. 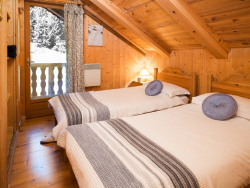 6 en-suite twin bedrooms and one double, next to the piste. Wrap around balcony with stunning views. Hot Tub. Ski Passes, Ski School, Ski lessons and the Restaurant for the staff night off can all be pre-booked. Dedicated, professional resort staff chosen for their experience, ability and friendliness. Nanny and Babysitting services available, using qualified, highly reputable companies .